Tonight, much of the world will look back 2,000 years to reflect on the birth of Jesus in Bethlehem. The scene is well-rehearsed in our collective consciousness: the Christ-child, laid in a manger, surrounded by animals and shepherds and wise men, Joseph and Mary looking on with pride and wonder. The mystery of the Incarnation declares a bold truth, a God who is for us and with us, a God who does not flinch and recoil from our sinful flesh but instead takes it upon himself and enters into history in the form of a defenseless and vulnerable child. 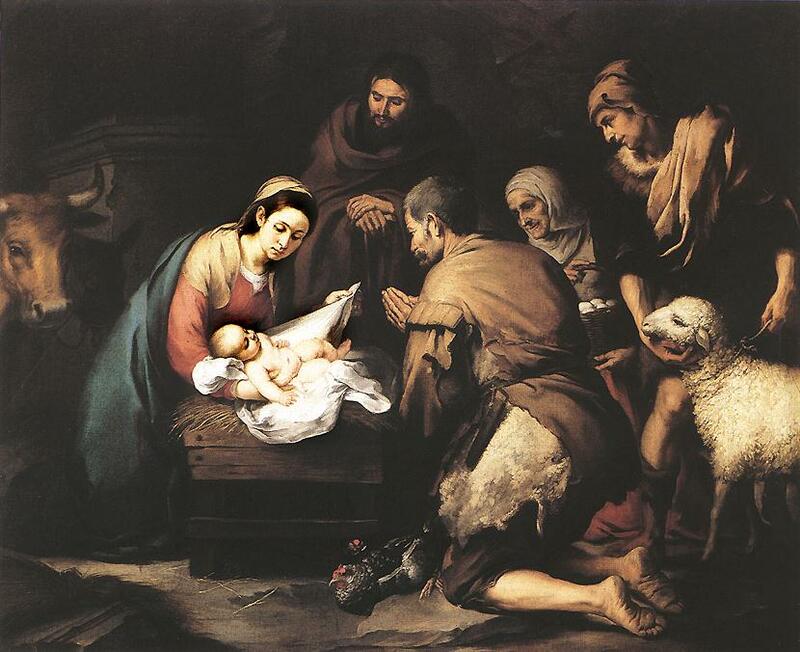 His arrival is heralded as good news for all men, the glory of God from the highest heaven. And our imagination stirs at the thought: God, become one of us, come here with us. Jesus Messiah, King of Kings and Lord of Lords. And tonight, with heart bursting full at this revelation, I want to turn my eyes toward the horizon, toward the moment of his re-entry into our world. The earliest followers of Jesus understood his final procession through the streets of Jerusalem as a fulfillment of ancient prophecy: Behold your king is coming to you; righteous and having salvation is he, humble and mounted on a donkey, on a colt, the foal of a donkey. Zechariah’s lyrics provide a lens for understanding Jesus as the Prince of Peace. He enters Jerusalem not atop a war horse, but riding a donkey, the symbol of a ruler coming in peace. His meek arrival matches his birth, a humble entrance. The world is used to battles fought with chariots and war horses, swords and spears, bows and arrows. Into that world came an unlikely King, riding on a donkey. Without weapons or war rhetoric. Coming not in retribution but in restoration. He came to the prisoners, bringing hope to their hopeless cells. To release them. To return them home. And to restore everything they lost. That’s how our Savior came. And that’s how he characteristically comes. In goodness, gently setting things right in our lives. And in humility, not storming the gates of our cities but entering those gates in the most unpretentious of ways. He comes in peace. Releasing the part of us that has been held captive. Returning that part of us home. And restoring everything we’ve lost during those years of captivity. As I write this on Christmas Eve, I write as one who is weary, one who longs for the humble King of angels to come that I might adore Him. I write as one who is weary of war rhetoric; it has become the discourse of our age. I write as one weary of the suffering and loss that seems to consume so many of the ones I love dearly. I write in anticipation of the arrival of the One, the Only One, who promises to make all things right and new and glorious in His timing and according to His purposes. I write as one who longs to behold the coming of my King. So rise up, you daughters of Zion. Shout for joy, children of Jerusalem. For our King will come soon, the righteous king who makes all things right. Salvation is his reign; salvation is the language he speaks. In humility, he offers peace to those who would acknowledge him. This entry was posted in Christmas, Devotional, Faith, Jesus, Scripture, Theology and tagged Christmas Eve 2013, Nativity, Zechariah 9:9. Bookmark the permalink.